Don't forget to mention Wed Magazine when you contact a company from our free directory service! Above all else, I believe in natural story telling. Every wedding is different and great wedding photography should not only capture the story, but also the love, happiness and excitement of the day. My style is predominately documentary with some creative fine art images. I capture all the little details you've put so much thought in to that add to your story. I use natural light where possible which allows me to work unobtrusively. By letting the day unfold naturally, I'm able to capture real genuine moments most of which you won't see. 3x winner of The South West Wedding Awards, 4x finalist at The Wedding Industry Awards’, Licensed & fully insured. Est.2007. We’re a husband and wife duo providing a relaxed but positive quality experience, from first meeting through to the delivery of your final products. We know how your party of a lifetime should be, and as such, shoot not only from experience but also from the heart. Tamsyn is also a makeup artist in attendance throughout the day, so she can do makeup freshen ups or even a change of look for the evening too. There is no better occasion to be taking photographs than at a wedding. To record a couples’ special day is an honour. It is undoubtedly the best time to capture those tears of joy, or the proud look on the parents’ faces through to big smiles and laughter. Because it’s your day, I will work with you in an informal, discreet manner, photographing you and your guests in a unobtrusive manner but also blending that style with more creative/dramatic wedding images that will have a contemporary fashion feel. As your photographer I want to get to know you so that on the day I can bring out the best in you and help you feel comfortable in front of the camera. I love to capture real and honest moments, my style is personal, natural and relaxed with a little quirky romance thrown in for good measure. 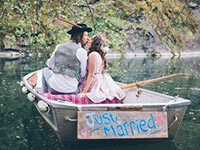 Joey Lamb Photography is a blend of creativity and fun. At every wedding I aim to make the bride and groom smile, laugh and feel as relaxed as possible, while capturing those beautiful and special moments. As I work from an editorial background it means your images will have a beautiful, timeless finish to them, while showcasing your unique personalities and the fun you had on your most special day. I try to blend in with each wedding as much as possible, and have received countless reviews saying how much I just seemed like one of the guests or wedding party. I am proud to say that so many of my brides and grooms have gone on to become my friends. In 2017 I won the Simply Wedding's Judge's Choice award in Classic Photography, and was also a finalist for South West Weddings New Business award in the same year. Hi I'm Laura and taking photos of people makes me happy, what makes me even happier is taking photos of you living your greatest day ever! Few days are as emotionally charged as a wedding, it's the once in a lifetime moments that happen throughout this day that I love to capture for you to look back on fondly forever. You and your carefully chosen guests are the focus of my attention and I believe that at no point should I be the focus of yours! I capture you and your guests naturally whilst you are immersed in the real events and excitement that unfold organically throughout the day, I'm all about real interactions! 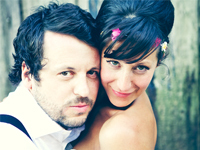 We're Pip and Simon; two passionate photographers who have joined forces to tell both sides of your story. Drawing constant inspiration from the old documentary photography greats, the best of contemporary photojournalism, and the drama, style and storytelling of the film and fashion worlds, we get you the shots that others don’t. If you hate to have your photograph taken, if you think you are awkward in front of the camera. if you like to break the rules. If you don't care what people think, and wish to do things your way. If you want your photography to be stress free, fun, unposed, then I am your photographer. 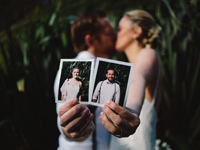 We’re Ashling and Dan, a husband and wife camera wielding duo, who LOVE shooting weddings!! 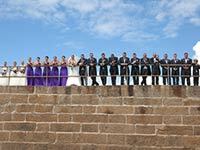 Our jam is creating authentic, honest and romantic photographs in an unobtrusive, relaxed manner. 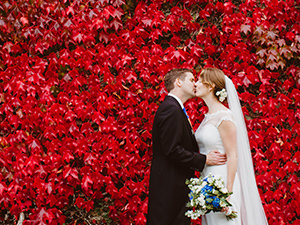 If you’re looking for creative, natural wedding photography, we'd love to hear from you. 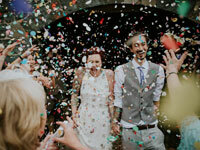 Choosing a wedding photographer can be one of the hardest parts of organising your wedding day. My personal style is based around creating beautiful, intimate, classic and timeless imagery. I work in an unobtrusive and relaxed way, enabling me to document the finest details of your day while blending into the surroundings. By focussing on you and your day I am able to capture the warmth, happiness and love that is at the heart of every wedding. I am a storyteller: I tell the story of one of the most important days in your life. I capture the details and the unseen moments that make that day special and original. Capturing unposed, natural and relaxed wedding images is my passion. I work in an unobtrusive manor whilst being dressed smartly and am extremely personable. My philosophy is to not intrude on your day and therefore allow you to enjoy every moment instead of spending excessive amounts of time waiting around for formal photos. All the while I will be creating modern and timeless images of the all important moments of your day. There is nothing more fulfilling to me than to witness and capture the emotions I feel and see from the people around me! My aim is to capture moments you didn’t even realise were happening, and provide you with precious memories of a day that will, no doubt, go by very quickly. I like to capture things as they unfold naturally, without interfering, from a photojournalistic and creative perspective. Each and every wedding is totally unique, so that’s how I like to approach it – no recreating past photos or set poses, I am there to capture your story, combined with the challenge of creating art. Hiya! I'm Ben and like all of the other photographers on here, I love shooting pictures. Your wedding day is about you guys and going wild with your guests. It's not about photography, leave that to us. We'll embed ourselves covertly amongst the party and record all of the moments you probably won't see. If my work floats your boat, I'd love to hear from you. My style of photography can be described as romantic and ethereal. 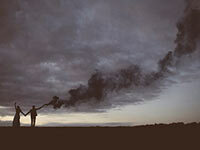 It brings a delicate light to each photo to tell the honest and natural story of your day. Not through a series of poses or staged shots but through an unobtrusive and organic way to capture moments that resemble the feelings shared during your wedding. 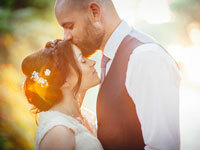 Emotive, narrative forming wedding photography for the discerning couple. With 17 years of photographing weddings in the South West Evolve are modern enough be contemporary, yet classic enough to be timeless. As a documentary photographer, I love blending in with your day. My style is natural and unobtrusive, allowing me to preserve the looks, emotions and essence of your wedding. I love it when my couples relax and simply live their day, and the photos are all the more special for it. Head to my website to see what that might look like for you. Hi, I’m Leo! My methodology for weddings is simple: I won’t get in your way. 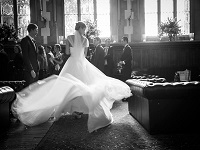 I will let the day flow and document the moments that happen spontaneously without asking you or your guests to pose. Those laughs, tears of joy, hugs, kisses, confetti throwing, champagne-cork popping, cake cutting, first dancing, register signing, saying I doing, welly wanging* … capturing these moments in time is what I love to do and it gives me a sense of fulfilment that can’t be matched. Hey! 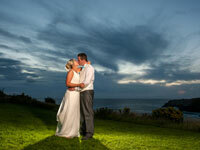 I’m Mark and photograph weddings all over Cornwall in an emotive, unposed, storytelling style, priced from £1000. I’m drawn to happy…and weddings are full of them! You just be yourselves and party! and I’ll capture your day as it happens. 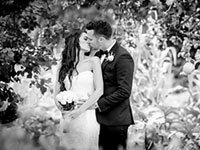 So if you’re looking for a modern style wedding photographer, professional editing, and want your wedding photos to bring a smile on your face every time you look at them, I’m your man! please check my website, I’d love to hear from you. Hey I'm Noah Werth, film maker, photographer and adventure seeker. I've been looking through a camera for far too long, but I love how doing this job means I get to meet people in one of the most exciting stages of life. Planning a wedding is one of the most amazing things you can do but I know it can be stressful and the thought of having to stand in front of some random person to have pictures taken can add to that stress. Whether I'm filming or taking photos I want to make sure you guys are not just relaxed but actually having fun. "Wedding Photography allows me to build some great relationships with the couples I work with and I truly enjoy being part of and recording their day picture by picture. 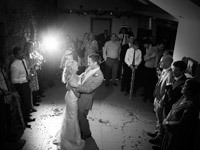 As your Wedding Photographer I play a strong role in keeping and shaping the memories of your day. I believe in capturing those memories and moments as they happen, naturally and not directed. I avoid overly posed situations that might impinge on the flow and enjoyment of the day for all those involved. This allows me to be unobtrusive and most importantly you to be relaxed without the feeling of being directed and uncomfortable"
Our objective is to create evocative, beautiful & relaxed imagery that is inspired by narrative, nature & whimsy. Specialising in weddings, we pour a lot of love & soul into what we do and no task is taken lightly. With meticulous care & passion in every project we undertake, Salt & Sea Photography Co. is the first choice of couples looking for a spirited, unique & fun loving wedding photographer that captures the true essence of their story through a mix of relaxed contemporary documentary style photography & charming, creative portraits of romance & still life. We believe in natural storytelling above all else & do our very best to disprove the stereotype of the bossy, fussy and intrusive photographer. Our services are bespoke, customising anything from the package itself to the finish of the photographs around you as a couple. I know how important it is to deliver the shots you want; photos that capture and evoke the most heartfelt emotions. Specialising in unobtrusive, reportage-style photography, I'll pick up on the little details and moments that go into making your wedding so special, and I promise you those natural, one-off images you’ll treasure forever. 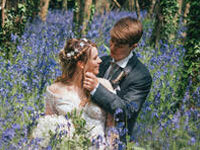 But don’t just take my word for it – have a look at my portfolio and see what my past brides and grooms have to say. My approach is simple: I observe, document and smile all the way. I love art and love creating beautiful photographs. In each of my photographs I try to capture ‘the moment’ and aim to create a set of images that not only tell your story but are also full of atmosphere, drama, love and most of all capture the essence of your personalities. We like to keep 'behind the scenes' and blend in the crowd with our photography and film giving you a more reportage, intimate, relaxed style. Both easy going people, everyone is always surprised at how laid back working with us is. We love to get creative with the bride and groom to capture some truly beautiful, adventurous, romantic shots.Passionate about enjoying life to the full, your day with us will be full of good times and good memories. As lovers of travel and all things nature, our favourite weddings are the ones spent soaking up the view, dipping toes in the ocean and dancing under starry skies. Our packages include a consultation before to talk about your big day, an engagement shoot and a wedding memory box all to create a bespoke and personal wedding package to suit you. If the packages don't suit your needs then please feel free to contact us so we can tailor a package just for you! "I’m Hannah Wilde and I’m a bit of a romantic gypsy traveller at heart. Having grown up travelling the world I fell in love with people watching, art, music, and the magic of storytelling. My love affair with photography started at a young age and I’ve developed a natural, authentic, candid style that is, it seems, perfectly suited to Wedding Photography these days. I’m self-taught, young, friendly and unobtrusive, with a fresh and fun approach, and if you’re anything like my past clients it is very likely we will become good friends. This is likely to be the biggest day of your life, with you centre stage in your very own fairy tale, and there’s nothing more emotive and beautiful in my eyes than true love. The artist in me is always keen to go above and beyond to capture your moments in a truthful, emotive, and almost cinematic way that generations to come will treasure. 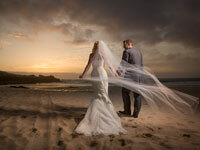 Let me tell your story… "
Wedding Photography To Get Excited About. I look to work with fun-loving, laid-back couples who want their wedding day captured naturally, creatively and with a lot of laughs. The photos stay true to your wedding, I document it how you created it but from a unique perspective. Everything is covered with little interruption from me and I definitely keep it "cheese" free. Fun is a priority and with some careful planning, you get what you want and more from your wedding photography. 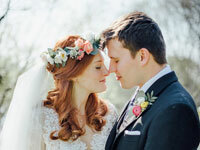 Hi there, I’m Emma and I love to photograph creative and non-traditional weddings. My galleries feature everything from muddy farm weddings to iconic London hotels. I shoot in a reportage style, so I capture all of those special moments - the textures, colours, emotions and details which tell the story of your day. I am based in Totnes, Devon and I work all over the UK. Photographing people and making them happy is my biggest passion. I am a big fan of natural, reportage style photography, which makes people feel relaxed. I love to break tradition. I'll happily photograph a traditional wedding but I like to be able to offer a couple the option of having creative, less traditional images of their big day. I am an upbeat, positive person and I aim to get this energy across to my clients. 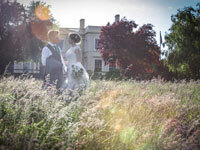 I am a creatively led, award winning, reportage wedding photographer. Whose style is natural, unobtrusive, artistic and timeless. I capture the story of your wedding day as honestly and true to the day as it was, no posing for hours or endless lineups of the same images, your day is as unique as you are and the photography should reflect that. I want to photograph all the emotions you experience; the love, nerves(! ), and happiness to bring back wonderful memories. Two creative photographers and two perspectives - Katherine and Steve have a style that is fresh and uncontrived, finding beauty in the simple moments that others would overlook. 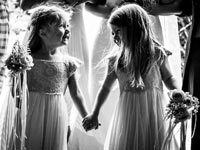 Be it a cheeky glance, sunlight filtering through a window, or flower girls peeping from under a veil, seeing these moments and photographing them beautifully is what we love to do. Hi I’m Jules, chief photographer at Rockrose photography. 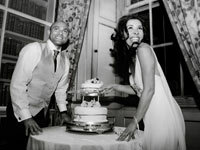 I specialise in documentary style wedding photography and portraiture and have been shooting weddings for the last seven years. 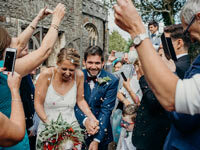 Rockrose photography is an all girl team of creatives, capturing love and laughter all over the west country and beyond. Whether we are shooting a portrait session or a wedding, our approach is relaxed and informal, while remaining professional. We work in an unobtrusive and friendly manner, helping to create a happy and fun atmosphere wherever we are working. This ensures that we capture the real story of your day, giving you memories that last a lifetime. 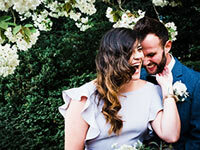 Beautiful, stylish and creative wedding images, captured in a fun and unobtrusive manner. Pictures that convey the essence and emotion of your wedding day, the laughter, the joy and the tears. Complimentary engagement session with every booking. I capture weddings as unobtrusively as I would like my own to be captured, providing you with images that are unforced, natural and full of life. I creatively and sensitively document the beautiful reality of your wedding, giving you everlasting memories of all those little details, special moments and precious people that make your day completely unique and totally yours. I love weddings and capturing all the different parts of the day through my photography - i love to record your fabulous day, all the people, places, and details that make your up your special day. Each wedding is individual and i make sure i capture all those special moments for you to treasure. I love the authenticity and unique elements that each couple bring to their wedding. The way that your love is shown for one another, those beautiful moments, the tears, that laughter...let me capture your day, your way! I see the stories in your moments, creating beautiful portraits and so much more. There is nothing more important than your big day and I am here for you. It is a privilege to be a part of a wedding day, one of the most memorable days of your lives. Your photography should capture the very essence of you, encapsulating these memories to be treasured and enjoyed for years to come. Working in my own natural, creative, emotive and relaxed style with a mix of the traditional, I make sure the images that I capture tell your story. I love photography, I love weddings and I love shooting weddings. It's one of those trinity things - serendipity. My approach is largely lifestyle meets reportage and is as flexible as you need it to be. Exuberant, informal, relaxed. My style is natural, elegant and relaxed. I adore warm natural light and pictures filled with softness, laughter and love. I shoot on both digital and vintage film cameras mixing Fine Art and Reportage to create images that are timeless and a little bit different. I am based in Devon, but travel all over the UK and abroad. 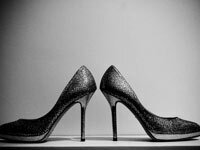 With over 15 years experience in the photographic world, I hold a BA (Hons) in Photography and regularly feature on many of the UK wedding blogs. I also love cake! I just adore taking photographs of people and to be able to capture a couples most precious and important day is an enormous honour for me. I let your day happen naturally where I create unpretentious yet unforgettable photographs. My theory is, the more enjoyment you are having the better the photograph I will get. 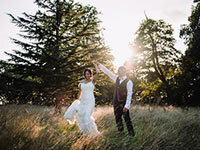 Andrew and Helena (a husband and wife team) work together to make sure that your Wedding Day is captured effortlessly and with love; Each with their unique photography backgrounds rooted in theatre and sport, together they create reportage wedding photography, with a contemporary feel. At Ocean Grown Photography, your photographers understand that every moment is special, and aim to capture even the smallest of details that build up to make your Wedding Day truly unforgettable. When the day is over, Ocean Grown makes it possible for you to re-live those moments again and again, creating new memories every time. “Each Wedding is completely different and unique; anything can happen. 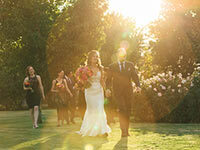 It is a thrill to be involved in capturing such an intensely personal and special day! "As a wedding co-ordinator I am always delighted when couples tell me they have booked Pervaiz as their wedding photographer. Having worked with Pervaiz on many occasions I feel he has a special gift for making couples and their guests feel relaxed, comfortable and confident in front of the camera." Mandy Dunn. 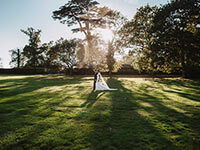 A creative documentary wedding photographer based in Newquay but covering Cornwall to the Cotswolds. Shooting with a relaxed unscripted approach. Telling your wedding day story, documenting the emotion, your proud parents, the first look, the laughter, fun and love that you shared with family and friends. Working with you and your guests in an informal fashion, letting the day unfold organically. 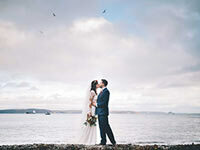 I'm a Cornish based wedding photographer, and I absolutely love my job! It’s a genuine privilege to be entrusted to photograph one of the most important days of people’s lives, and I understand the importance of the responsibility. My modern unobtrusive approach is to document and tell the story of your day with natural candid photographs, along with beautiful timeless portraits capturing you looking your absolute best. 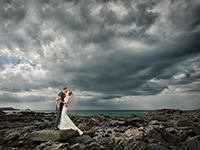 I'm Cornwall's only member of the 'Artistic Guild of the Wedding Photojournalist Association', a very prestigious and exclusive organization which has very high standards for inclusion, not anyone can become member. 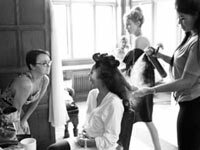 Capturing creative, natural and contemporary photographs, I offer coverage from bridal preparations through to your first dance.I work in an unobtrusive and discrete manor to create a visual story of your day. The vast majority of photographs are taken in a documentary style - I stand back and capture things as they happen. I firmly believe this creates the most natural looking photographs. If you like what you see, please take a look at my website for more information. Tom's relaxed and informal approach is evident in the candid quality of his images. Unobtrusive yet with an innate eye for detail, he effortlessly captures a range of stylish shots that perfectly portray the mood and characters of the event. 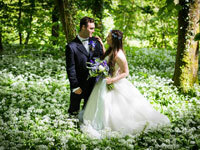 From fashion to family portraits, landscapes and trash the dress - Tom provides an extensive service with beautifully bespoke and breathtaking results. 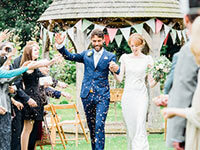 Travers & Brown photography has been created from one man’s passion for photography (obsessively spanning all types and eras of cameras and print processes) combined with his extensive experience of the wedding industry. We primarily shoot digital, but have been known to break out the Polaroid if the mood takes us. We are strong believers that your wedding should be about you and your enjoyment of the day, and as such we believe in capturing your day's events as and when they happen. 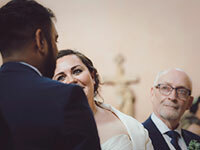 'Brian's whole approach to our wedding photography centered around his absolute desire to capture every moment of the day in exactly the way we wanted'. 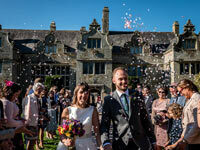 I am an established Wedding Photographer in Cornwall, offering unobtrusive documentary wedding photography. Every wedding is unique, my vision is to capture your day and all of the little moments in-between. Are you……. inspired by nature….. addicted to adventure? 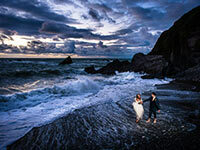 Do you love exploring the rugged Cornish coastline….. wild swimming in rivers........... chasing sunlight through moorland forests .......... Booking Liberty Pearl as your elopement or wedding photographer promises a real adventure. We will climb mountains, journey through fields and explore sensational coastal locations to ensure that perfect sunset shot. I will help you plan for exciting photographs that will capture you against the riotous backdrop that nature provides, getting to know you both and building a real relationship with you, resulting in beautiful imagery that portrays your personal love story!